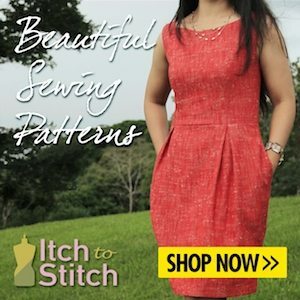 Being part of the blogger team at Sewisfaction is a huge honour and great pleasure, but so much of sewing blogging is spent working and communicating online from home. 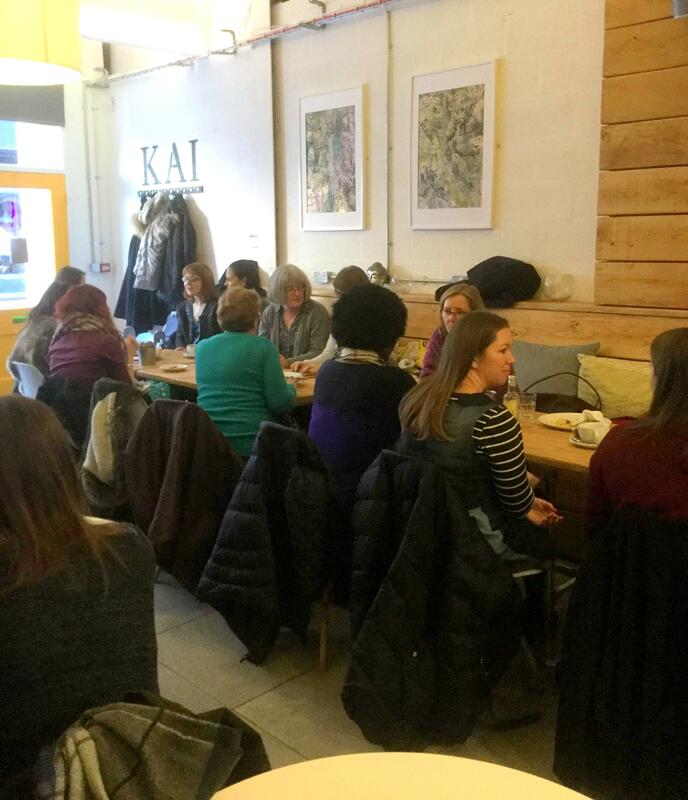 So recently the lovely Sheona, who most of you will know as the owner of fabric and haberdashery shop Sewisfaction, arranged a little get-together for the Sewisfaction Blogger Team. 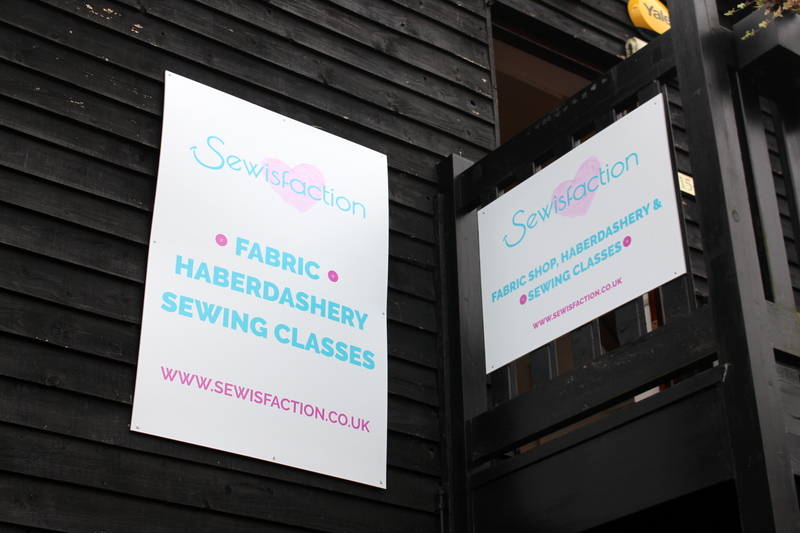 The plan was to all meet up at Sewisfaction ‘HQ’ and spend a lovely Sunday sewing and chatting. Bliss. As a great deal of you will know, Sheona opened her ‘bricks and mortar’ shop a couple of months ago. It is located in the idyllic Berkshire countryside on the outskirts of Wokingham, at Holme Grange Craft Village. The craft village has a great location near motorway links and is also not too far from Wokingham railway station. As is often the case it is tricky to find a time and location that everybody can make. We were so very sorry that Lesley, Suzie, and Maddie were unable to make it this time. Fingers crossed that we can all be together one day – how awesome would that be! It was so exciting to actually visit the shop at last, after seeing it online so much in Sheona’s vlogs and on her Instagram account, and it did not disappoint. 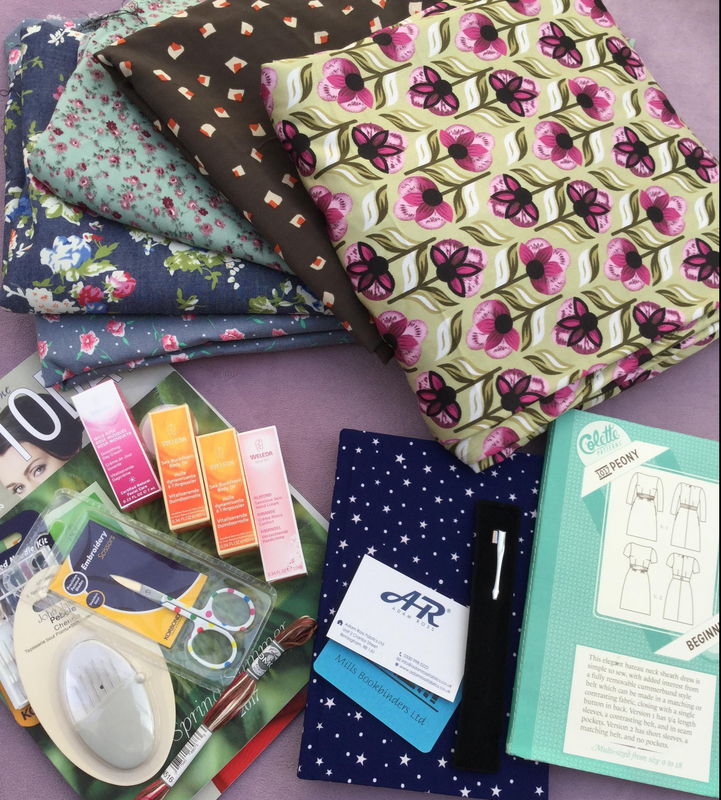 The shop is easy to locate in the Village (plenty of free parking by the way), and you are greeted with a welcoming selection of pretty fabrics, haberdashery items, sewing patterns, knitting wools and general sewing lovliness! New fabrics are being added to the shop all the time, and you will usually find Sheona will mention them on her social media (particularly Instagram), so if you want to be the first to know what’s going on then do give her a ‘follow’. You can also sign up on the website to receive updates and news from Sewisfaction is this is easier for you. Don’t forget to tag your makes #mysewisfaction and you may well find yourself on the ‘wall of fame’! 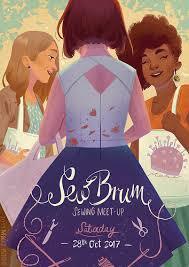 It was a huge thrill to finally meet Sheona and two of my fellow Sewisfaction Bloggers – Amanda and Samantha . What lovely, lovely girls – truly sweet, and I felt like I had known them for years. Also I was super happy to meet Suzy who a great deal of you will have seen in Sheona’s vlogs, again what a sweetheart – and we all had the most amazing time sewing and chatting accompanied by plenty of tea and biscuits! The shop has an impressive sewing space where we were able to use the wonderful Janome sewing machines and overlockers that are available at Sewisfaction for the many sewing courses and classes that are held there. Check out the website for a full list of what is available – there is something for all abilities including parties and half term activities. Lunch was the perfect opportunity to have a little break, and there is a pretty little cafe just downstairs from the shop where we grabbed a sandwich before more sewing in the afternoon. All too soon it was time to go – not before some fabric purchases were made – well, it would be impossible to go home with nothing don’t you think? You might have seen my fabric purchases on my Instagram Stories, and I will of course be sharing the finished makes on here in due course. I hope it won’t be too long before we are all able to meet up again. Sewing and chatting really is the perfect way to spend the day. Thank you to Sheona for all her hospitality, and also to Amanda, Samantha and Suzy for making my day so enjoyable.